Delve Energy is comprised of a team of diverse professionals experienced in all aspects of power generation. We are focused on your success from the initial conceptual design through construction, commissioning, start-up, operations and maintenance of power facilities. We have extensive experience providing services to companies desiring conventional, renewable, or cogeneration power plants. 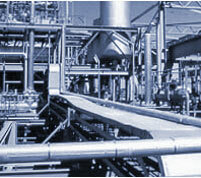 We focus on significant energy cost reduction and provide results for power/energy projects. We can locate and/or negotiate power project deals for buyers or sellers. Through our associates and affiliations, we are able to provide all energy-related services, including energy advisory services to the power, oil and gas, chemical, petrochemical, pulp and paper, financial, banking, and other industries. We approach every assignment with an Owner's perspective to conserve initial capital, optimize equipment and system design, provide high reliability and availability, and maximize value for each client.